HomeReady From Fannie Mae Or Home Possible Advantage From Freddie Mac? 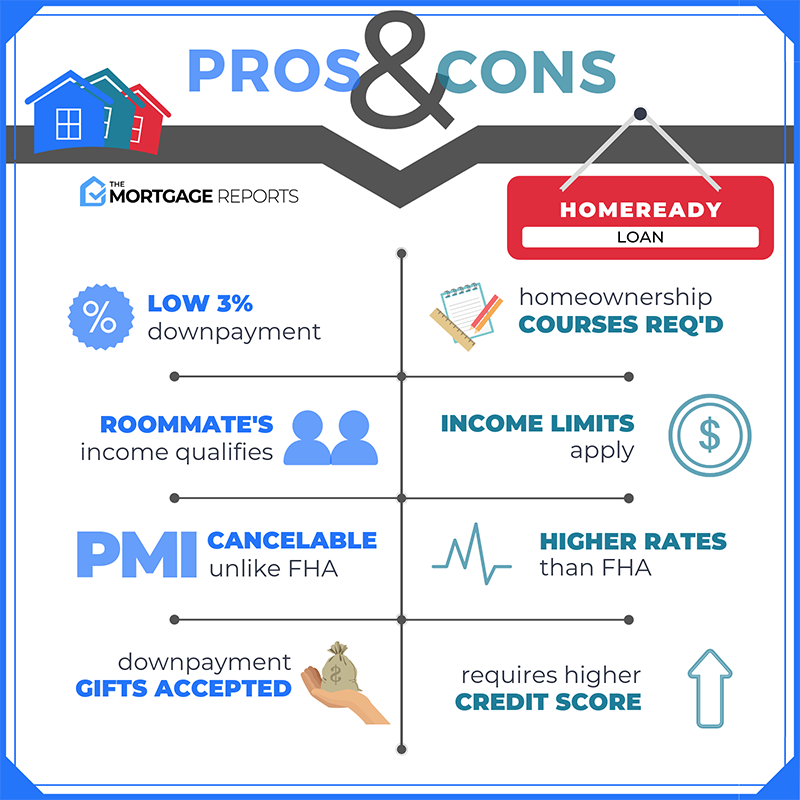 Home Possible Advantage, offered by Freddie Mac, and HomeReady, offered by Fannie Mae, are similar programs for homebuyers without large down payments. Neither program requires you to be a first-time homebuyer. Both let you finance up to 105 percent of the property purchase price when combined with a community second mortgage. Both let you borrow up to 97 percent of the property value with a first mortgage. However, they are not identical, and one might be better for you than the other. Here’s an explanation of the program differences, and how they might matter to you. This is the amount the borrower must come up with from his or her own funds. Your mortgage program might require ten percent down, for example, but allow you to borrow half of that or receive it as a gift. In that case, you’d have a minimum borrower contribution of five percent. There are differences in borrower contribution requirements for these two programs. If you want to buy a duplex, triplex or four-plex, these differences could come into play. Fannie Mae’s HomeReady demands a minimum borrower contribution of three percent of the purchase price when you buy multifamily property. Freddie Mac requires no minimum borrower contribution for one- to four-unit houses. Both of these programs are for the purchase of primary residences only — no vacation houses or rentals. The programs allow non-occupant co-borrowers when the loan-to-value is 95 percent or lower. Suppose you’re helping an adult child or aging parent buy a home. You want to be a co-borrower, but don’t plan to live with your relative. Either program allows this. A household may have several members with income that can be used to pay the mortgage. Usually, lenders only count income from the resident who is obligated by the loan. Freddie Mac’s Home Possible Advantage does not count non-borrower income at all. Both programs have education requirements. That means borrowers must complete some sort of education or counseling from an approved provider. Freddie Mac’s Home Possible Advantage lets you skip the education if at least one borrower is not a first-time homebuyer. If you need or want homeownership counseling, you can get it for free online from Freddie Mac or mortgage insurer MGIC. At least one borrower must complete the education program for Fannie Mae’s HomeReady loan. This training is provided by Framework Homeownership, LLC and costs $75. Current mortgage rates change all day. When looking for a low down payment mortgage, it pays to compare rates and fees from several lenders offering both programs. Then choose the lender offering the best combination of interest rate, terms and service.